Chronic fatigue syndrome (CFS), or myalgia encephalomyelitis, is poorly understood, but proposed mechanisms include biological, genetic, infectious, and psychological. This disease is characterized by profound fatigue, cognitive dysfunction, sleep abnormalities, autonomic manifestations, pain, and other symptoms that are made worse by exertion of any sort. In fact, CFS can severely impair patients’ ability to conduct their normal lives. According to an Institute of Medicine report published in 2015, an estimated 836,000 to 2.5 million Americans suffer from CFS. For years, the U.S. Centers for Disease Control and Prevention (CDC) has recommended two controversial treatments for CFS — a program of steadily increasing activity and a specific form of cognitive behavior therapy. However, few medical professionals are aware that the CDC has dropped the exercise and psychotherapy recommendations. Nor do they know about the extreme care with which people with CFS need to regulate their activities. How do patients with CFS get the healthcare and treatment they deserve to deal with their symptoms? Some CFS sufferers claim that they aren’t taken seriously when they go to the emergency department (ED). To address this concern, a pilot, online survey was used to determine the common presentations of CFS patients in the ED and attitudes about their encounters. The survey included 282 participants with physician-diagnosed CFS. Participants were predominantly women (87 percent), educated (70 percent had at least a college degree), and 93 percent had a primary care physician. The survey revealed that only 59 percent of CFS patients had gone to an ED. In this group, 42 percent were dismissed as having psychosomatic complaints. Some respondents (33 percent) had symptoms consistent with orthostatic intolerance. Those who went to the ED collectively rated caregivers' knowledge about CFS at 3.6 on a 10-point scale. About 41 percent of CFS respondents did not go to the ED when ill because they felt nothing could be done, or they would not be taken seriously. The findings highlight a profound lack of understanding of CFS by healthcare workers. 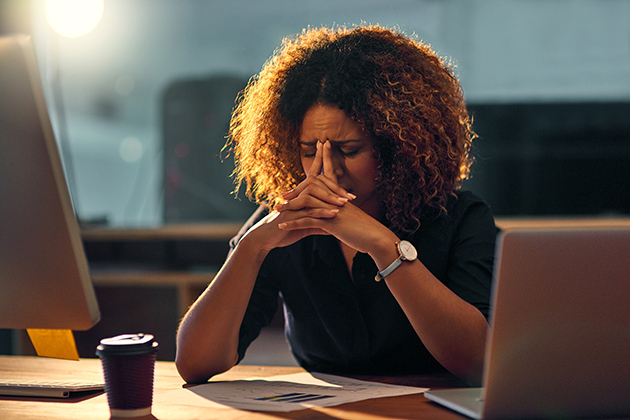 According to the study’s senior investigator, James N. Baraniuk, MD, a professor of medicine at Georgetown, and an allergist and immunologist who treats people with CFS, more training is needed for ED staff and physicians to better understand the disorder. The CFS Symptom Severity Questionnaire could be used in the ED to assist with the diagnosis of CFS and to differentiate exacerbations of CFS symptoms from medical emergencies such as heart attacks or infections. The questionnaire could at least provide a starting point for diagnosis and treatment by ED physicians. Interestingly, the reviewers renamed the syndrome "Systemic Exertion Intolerance Disease" to emphasize the disability, post-exertional malaise or exhaustion that follows mild exertion, cognitive dysfunction, and orthostatic intolerance that are characteristic of this illness.